Publishing World is always changing. Sometimes it is difficult to keep up with all the changes whether it is technical or business wise with publishing houses closing. I’ve been away from writing and publishing for too long. My goal for the rest of the year and the coming year is to reestablish myself as a writer. It is time to say goodbye to writer’s block excuses and begin filling paper after paper with lists of this and that to give me jarring ideas for the stories that I have in progress. I need to clean up my to be finished pile and start publishing new stuff. Is this a Lack of Commitment? Truthfully it has been lack of time. Class work eats up most of my free time leaving me with the need to use whatever little time I have left for some form of entertainment. That entertainment may come in the form of playing Sim City – my way of trying to learn about economics, World of Warcraft – for the adventurer in me, or attempting to create some craft project. Those craft projects never get very far before I give up due to lack of time and forgetting where I left off. The publishing world is moving on without me, and I don’t want to be left behind or forgotten. Look at the changes going on with Amazon’s KDP and CreateSpace. I have used those sites for years to publish my works, but I don’t want to have to move everything and receive fewer publishing services. I want better distribution for my books. That is why I am moving my works, slowly, away from KDP and CreateSpace. I needed to find a better distribution program for my books which is why I started removing my Wings from Ashes series from KDP and CreateSpace. For beginners, I am using Draft to Digital for the eBook distribution. My books will still be on Amazon Kindle, but they will also be on Kobo, Barnes & Noble Nook, iBooks, and several other outlets. The print versions will be moved to Ingram Spark so that bookstores will be more willing to stock my books in their stores. However, because of the cost involved, this move will happen slowly over the coming months. In the meantime, I will begin plotting and planning as much as time allows. NaNoWriMo is right around the corner, and I want to be able to say done by November 30th this year. Whom do you use to publish your books? Are your books published with Ingram Spark? Do you publish both formats with Ingram Spark? Someone has been reading my short stories or so it appears. An article was posted in the Facebook news feeds and I had to go and check it out. The story does sound a bit farfetched but hey, I suggested this in my short story that I wrote years ago, Bed Bug Ridden. Apparently, some woman decided to burn down her house because of a bad infestation of bed bugs. I wrote Bed Bug Ridden back around 2010 as a short story and you can read it in my Time Pieces Collection which has stories that are funny, simple, short and sweet with a touch of some suspense. There are 13 stories in this collection. Jennifer Baker, Digital Content Produce. Woman trying to kill bed bugs accidentally sets multi-family home ablaze. December 9, 2017. (accessed December 9, 2017). I will continue to ask myself over and over why I write and the list continues to grow. Communication: Writing is a form of communicating with those not met or seen every day. A friend, a sibling, former co-worker, even someone never met may find a shared experience to be inspirational, helpful or educational. Sharing: Experiences are wonderful to share. By sharing the experience the how, why and what will offer insight to what to possibilities for others. Caring: Everyone needs something. Caring is part of sharing insights of experiences of how to do something, why to do it, and what the reason was for the experience. Business: Writers write, plain and simple. Writing becomes more than a hobby as the experience continues to grow, which leads to greater sharing opportunities that are all part of business as usual. Just because I can: The more experience a writer obtains, the more they need to write. Just because, writing is a form of communication just like talking to someone in person. The letter, diary, story, note, message, chat, or phone calls all are forms of communication to not only other people but also to the self. Something I like to do: Writing is fun and allows detachment from the current world. Life can be shaped to reflect dreams, illusions, or reality. Imagination: A form of dreaming, day dreaming, scurrying the unknown to experience what if possibility. Nightmares can be horrifying, but the disturbing nightmare can be overcome by the power found in imagination. A weapon can magically appear to kill the monster; one only needs to imagine – or think it. Creativity: To think something into existence. What is real? Think and see something appear as one wish. What comes first? Imagination or reality. Development: Can be personal or creative. Change takes place without one knowing, realizing a plan is in action until all is done and over with the final result or outcome. Pondering: Thinking, imagining, wonder, inspiration, and creating a new idea or thought. Growth: Personal, knowledge, financial, character, and wisdom are all desirous for any individual. Aspiration: What one wants, wishes, and desires in their life. The one and only, the bucket list that never empties. Escape: Freedom from the events of the day. An excellent way to release stress and learn to enjoy life once again. Experience: What has been learned from doing something, being somewhere, being with whom, and knowing a common knowledge? Learning: All that is needed to know how to do something, to be someone, to get somewhere in life. Self-discovery: Self-knowledge, knowing who you are, become all that one needs to be, and understanding the self. Self-expression: Communicating who we are and what we want and why we want what we want. Just being a being is all one needs to be. Experiencing life: Life happens regardless whether we want to be on the boat of life. Open up and know what is happening to experience the storms so one can ride the waves of life without capsizing the boat. Where did my year go? This year has rushed by, and I can see why with being as busy as I have been with school and work. First-year terms are coming to an end. They finish up on May 13th leaving me with two years and two terms to go before acquiring that Bachelor degree. Microeconomics is not one of my favorite subjects. Economics, in general, are not a favorite either. I haven’t struggled this hard since taking Principles of Finance though I sure I’m going to pass. I discovered a couple of good buys this weekend on Amazon dot com. One of which was the book, Writing Romances – A Handbook by the Romance Writers of America. I picked the book up the used book for $6. It turned out to be a sweet find. I plan on reading a minimum of one chapter a day. So far it has taught me about the functions of an agent, and now I’m learning about the duties of a publishing house editor. This book holds the nuts and bolts about publishing. 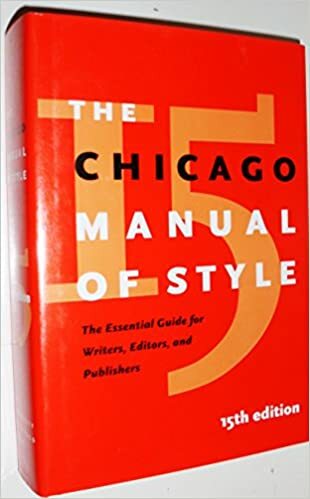 The other book I found in the used book section is the Chicago Manual of Style 15th edition that I picked up for $10. The 17th edition is about to release, but the used version will suffice for now, which is better than going without any edition. I love stumbling across things, especially great deals. So what if the RWA book was published back in 1996 even though so much has changed in the publishing world, some things never change that drastically like what editors do or what agents do. Yes, we have moved into an electronic era, but print books are making a comeback. I have found electronics to be hard on the eyes, and there is still that something about being able to hold a physical book in your hands. If I have to have that book, it will be a print edition, but if I’m not sure whether or not I will like the book, I tend to go with the electronic version. Why waste a tree on paper if the book is not worth reading? My manuscripts still sit covered with dust. I will return to them in time. Ideas are beginning to flow, and I can feel a story brewing in the back of my mind. I should be journaling every day. That won’t happen. The next 12 weeks will be hectic with school. I will have two back to back crash courses that will contain eight weeks of work to be completed in 6 weeks each. – My summer school. What I do to try and get ahead in life all because my story ideas seemed so lame at the time. Now I barely have enough time to post to my blog. 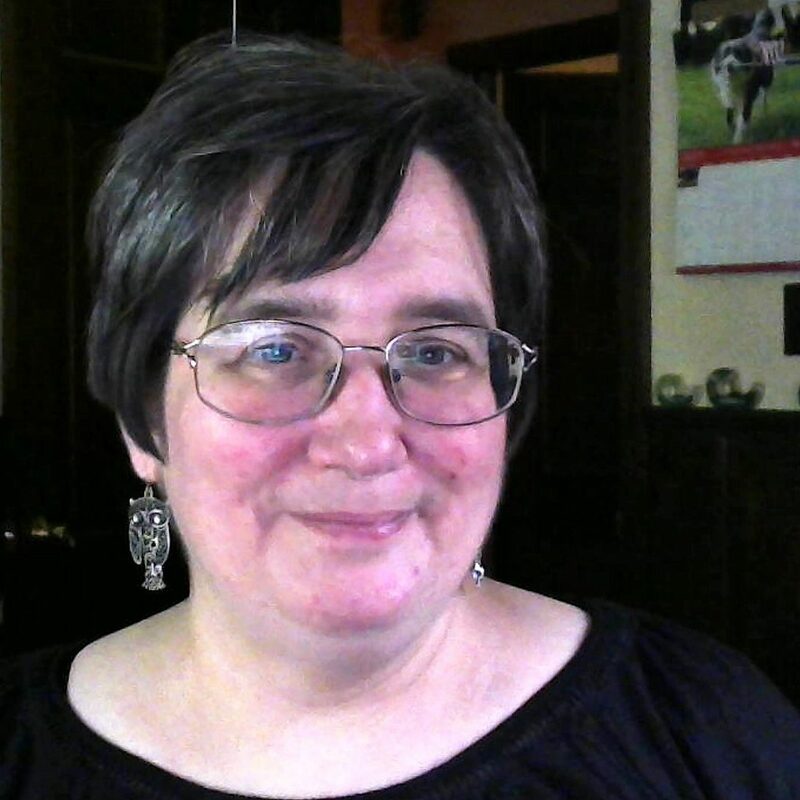 Interviews – I could not only host questions and answers with writers but what about professionals in every neck of the woods. Hmm… what a thought. My grandbabies are growing up so fast. I wonder which of these will find their way to the surface the most, who knows what the coming year will bring besides being one more year closer to getting that degree.